People draft estate plans that carefully detail how their money and property should pass to their heirs after they become incapacitated or die. But what about our so-called digital assets, such as an iTunes account containing thousands of songs, or a Twitter account with hundreds of followers? Can people pass those on as well? And how do they ensure that heirs get access to password-protected bank and trading accounts that exist only online? Questions like these are popping up with more frequency—and for good reason. A popular blog or Web domain, for example, can have great, or potential, value as a business. But if the owner doesn’t take the proper legal steps ahead of time, their heirs may lose the rights to those assets. 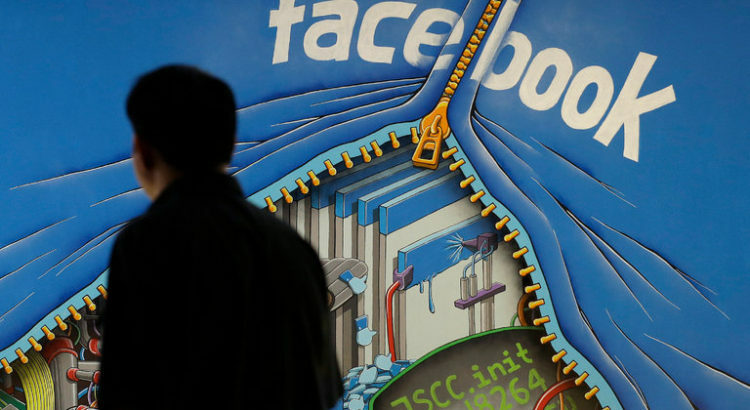 Photos, videos, email and contents of social-media accounts also may be lost. Justin T. Miller, national wealth strategist in the San Francisco office of BNY Mellon Wealth Management, a division of Bank of New York Mellon Corp. , says that clients often react with surprise when advisers ask about their plans for passing on things like online financial and social-media accounts. Even the technology executives he counsels, Mr. Miller says, have given little thought to how to provide their heirs with access to some of their online assets. Katherine Dean, managing director of wealth planning for Wells Fargo Private Bank, San Francisco, says one couple worth around $20 million seemed abashed when she asked them to detail their digital assets in making a comprehensive financial and estate plan. She gave them a one-page checklist seeking information about such assets as photo and social-media accounts, Web-based games, and online-only banking and brokerage accounts. 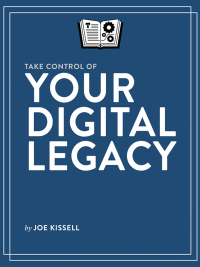 The most important thing, estate attorneys say, is to establish procedures for protecting and granting access to passwords and for transferring assets and account ownership. The rules can vary widely depending on the vendor. 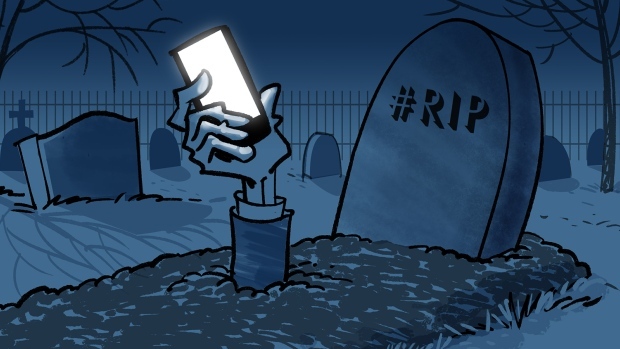 While there is nothing in Twitter’s company rules and conditions that says one of its accounts must close if the owner dies, Apple Inc. ‘s iTunes says it doesn’t have a policy that allows anyone to will or inherit an iTunes account. But even where limits exist, by placing the license and necessary passwords in a trust, access to such accounts can be preserved, says Naomi R. Cahn, a professor at George Washington University Law School. Ms. Cahn explains: Many digital assets are owned through a license that is limited to the account-holder and nontransferable. The license may cease to exist when the account-holder dies, so it can’t be transferred in a will. But by placing the license in a trust, it is possible that the license will survive the death of its creator. Wills play an important role, too, Ms. Cahn says, mainly in stating who should receive any digital property that is capable of being inherited. A will can also designate who will have access to digital accounts, although this may not be legally binding. Estate advisers caution against listing digital assets and passwords in a will because the will can become public. Such information instead should go into a separate letter, says Lesley Moss, an attorney at law firm Oram & Moss in Chevy Chase, Md. 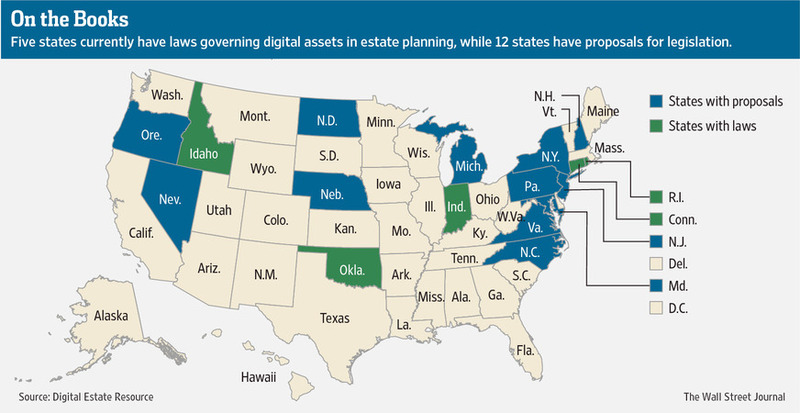 A group of states is interested in drafting a law that would make it easier for consumers to bequeath online property by giving fiduciaries the right to manage and distribute their clients’ digital assets. Lawyers, judges, legislators and law professors from the Uniform Law Commission, a group appointed by state governments to draft and promote new state laws, met this summer to discuss such a proposal. Two years after closing the beachside Spanish restaurant—repeatedly lauded as the world’s best by those lucky enough to have dined there—Adria says he is now focused on preserving its legacy for future generations. Widely regarded as the world’s best chef and credited with having changed culinary history by reworking familiar ingredients into unfamiliar dining experiences, Adria, 50, is now turning his attention to cyberspace. He plans to impose a sense of chronology to food online with his “La Bullipedia” project, a curated database into which he aims to incorporate every piece of gastronomic knowledge available. Like his culinary creations, it is highly ambitious. “The thing about the Internet is that it’s not in order,” he said in an interview in Hong Kong. Adria was in Hong Kong last week to oversee a Sotheby’s auction of wines from elBulli, while a bid of nearly $30,000 won the chance to dine with him in his hometown of Barcelona. “I’ll probably take them to the football as well,” he joked beforehand. Another auction will take place in New York towards the end of the month. Proceeds will go to the elBulli Foundation, the chef’s new non-profit research foundation, which is set to launch next year and is aimed at further developing his trailblazing approach to cooking. At the centre of it, he says, is the La Bullipedia project, which has been backed by Telefonica Digital and is scheduled to go live in 2015. “We are taking fundamental aspects of digital technology such as algorithms and data and applying it to food,” he wrote on the BBC website last year. “We are putting the combined knowledge of elBulli online where people can adapt and modify it, and draw inspiration from some of the most innovative recipes ever created,” he wrote. “It’s a tool that gives information and knowledge. Then the cook puts in the soul,” Adria told AFP. “Take the chocolate tart as an example,” he said. Adria, who joined the kitchen staff of elBulli in 1984, rocked the world of gastronomy by using science to “deconstruct” and rebuild food into new textures, contexts and experiences. The Michelin three-star elBulli was open for only six months of the year. It had one daily dinner seating offering a degustation menu of some 40 small dishes at around 250 euros ($320) per head. Each year about 8,000 diners were selected from a lottery system subscribed to by more than a million. Britain’s Restaurant magazine ranked elBulli number one on its list of the world’s top 50 restaurants a record five times—in 2002 when the list was first published and between 2006 and 2009. Indeed—part of Adria’s Hong Kong visit was also to lend his support to his protege Alain Devahive Tolosa, who spent a decade in the elBulli kitchen and also worked in its food research laboratory. Tolosa has brought his Catalunya restaurant to the city after opening in Singapore last year. “I’m very happy to see that Spanish cuisine is getting the recognition it deserves in Asia. Tapas cuisine is very similar to Chinese cuisine, it is made to share,” Adria said. 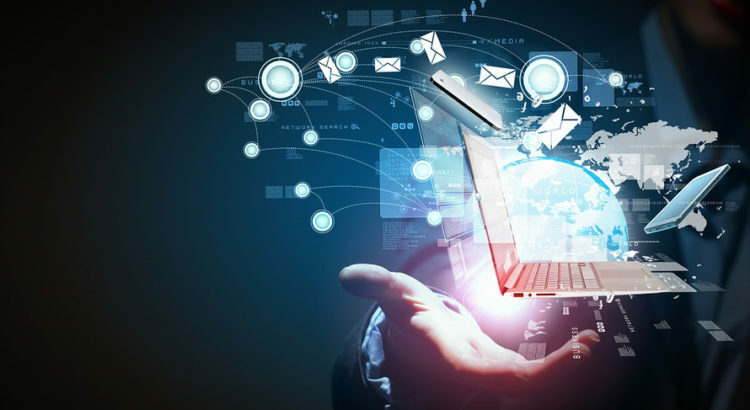 Innovation, he says, will remain at the heart of everything he does, but it will be increasingly assisted by the power of digital technology. “The world is changing super-fast, all concepts are changing. Thanks to the Internet, systems like the Michelin star will have changed completely in ten years,” he said. Food blogs—which have come to dominate Asia’s gastronomical discourse in particular, turning diners on to new foods and giving small eateries valuable exposure—have helped fuel a democratisation of food reviews, he said. “Bloggers are just as important as Michelin stars, especially locally. If I (one day brought a restaurant) to Hong Kong, I’d feel more confident if I had two good reviews by bloggers than a good write-up in a guide,” he said.